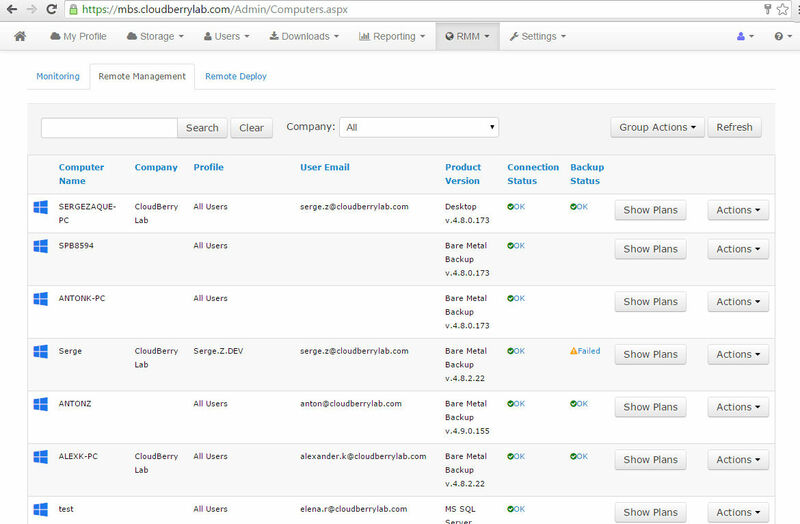 What is CloudBerry Backup ? How much does CloudBerry Backup cost ? 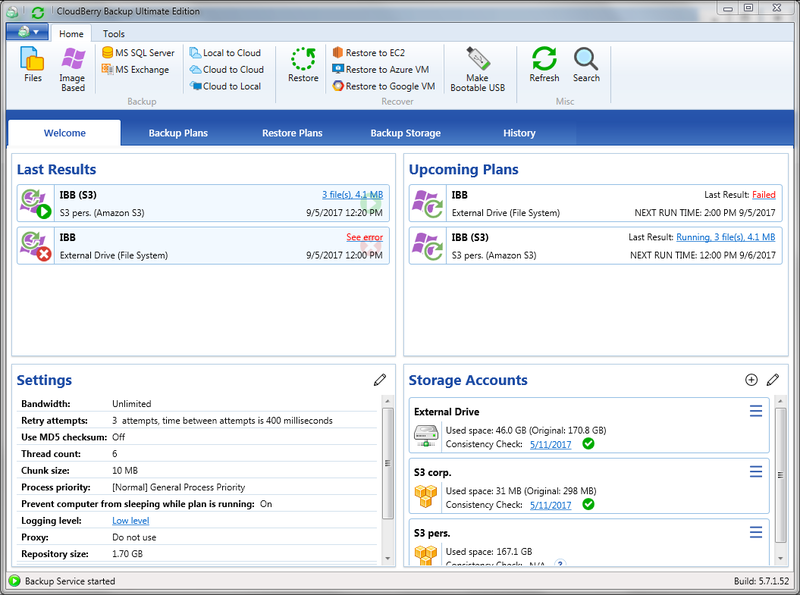 The pricing for CloudBerry Backup starts at $49.99. 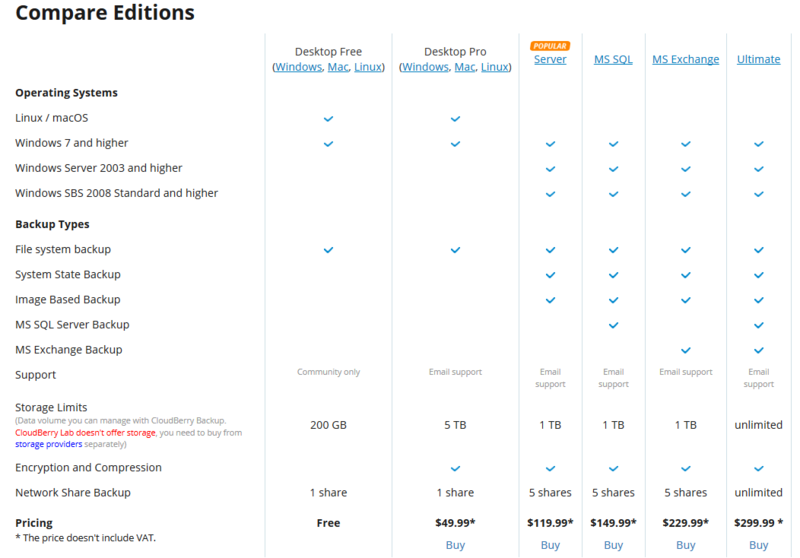 CloudBerry Backup has 5 different plans such as - Desktop Pro at $49.99, Server at $119.99, MS SQL at $149.99, MS Exchange at $229.99 and Ultimate at $299.99. 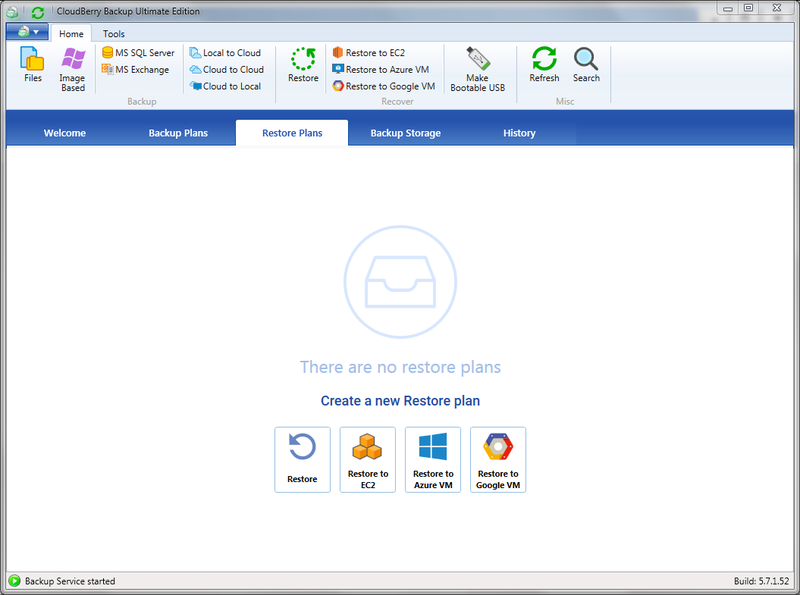 CloudBerry Backup also offers a Free Plan with limited features. The VSS snapshot and the aligned and nice GUI. Its easy to implant azure, never did it before and all was good the first time.There is alot of options including to make a bootable usb to recover a fulll system state. So far nothing, i had some other solutions before but they were missing a few things like VSS. Only thing im now missing is to view current processed file and time calculation. This could be cause its the first big upload do. Maybe with incremental backups it will show it. This product does what it promise. VSS snapshots are good, didnt recover it yet so i will need to wait untill the computer crashes to give my opinion on this, but for sure the files are the most important and its working greater then other product i tried. The tool is easy to use and available every operating system. The gui looks very old and not modern. In the next update the must change this. 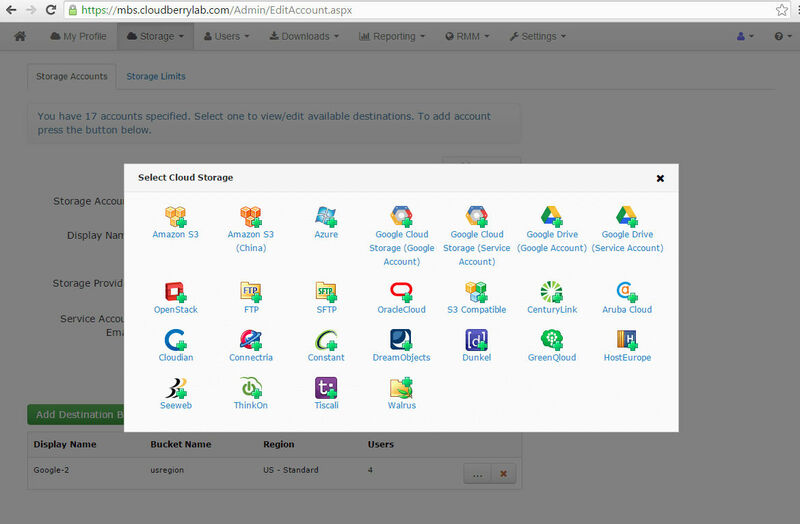 Pros: The backup creation system that the cloudberry backup offers to the client is highly customizable. It is excellent to create continuous backup copies, or differential. It also allows incremental backups. Cons: It does not offer archiving capacity by email, or web archiving or access controls with which work can be more permissive. Cloudberry backup does not allow to make electronic discoveries either. Overall: We are fully satisfied with the use of cloudberry backup, especially for the speed in which it allows you to work on it. 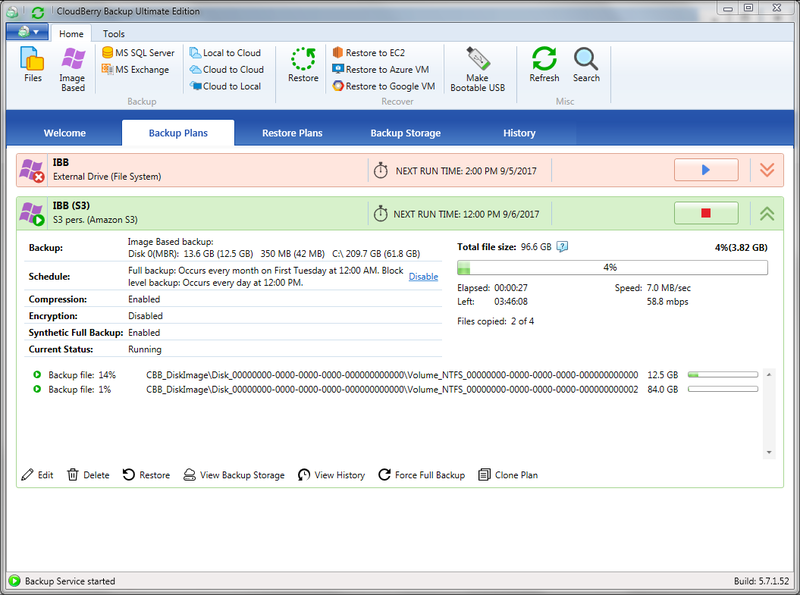 It is excellent when trying to restore completely (BMR) server backups. 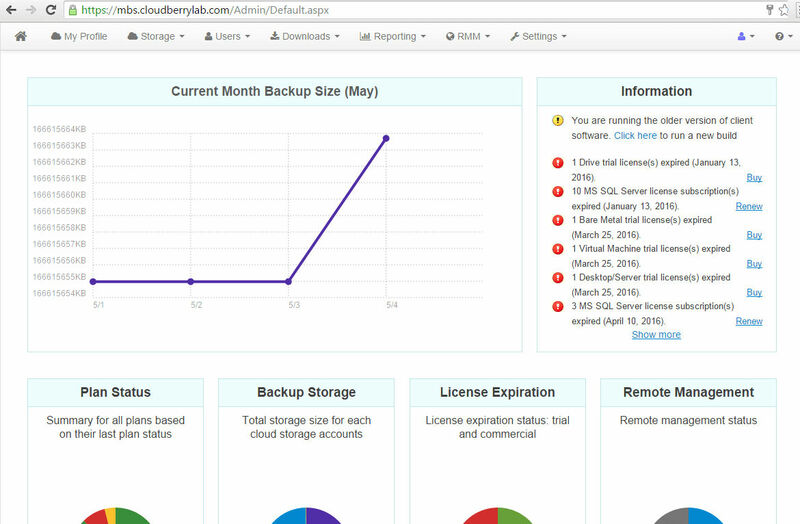 "Cloudberry just works the way you want it to"
The backup wizard and the overall look. 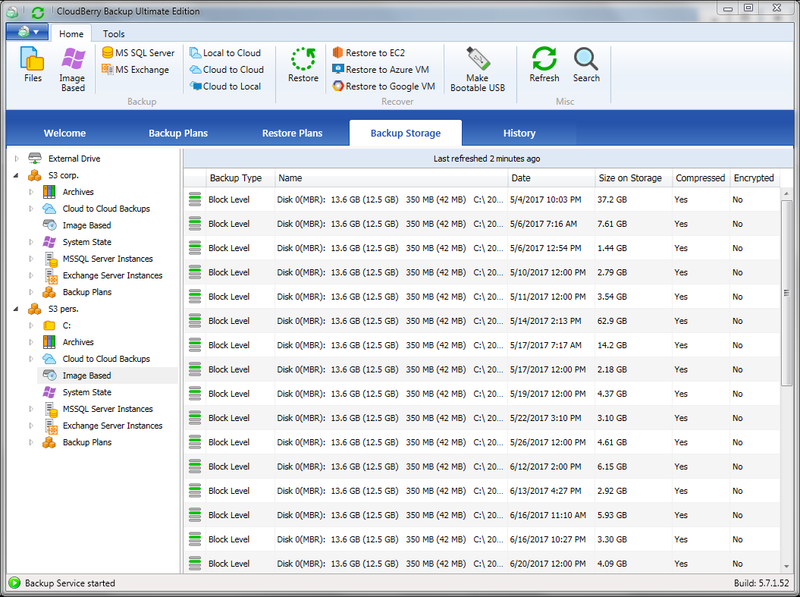 It is easy to setup and has most of the features that you would want in a backup application. A popup saying that backup has started would have been great. "CloudBerry Backup the best alternative for the backup of our data"
CloudBerry Backup is undoubtedly one of the best software for the backup of my data in the cloud that I have been able to use, due to various reasons such as: it allows to support many storage providers in the cloud, among which Amazon is included. S3, Amazon Glacier, Microsoft Azure and Google Cloud Storage, also compresses and encrypts data before they leave my laptop or desktop by transferring it securely to the cloud in real time or through scheduled backups. It is incredibly flexible in terms of configuration and storage options, the interface is quite good, at least compared to the competition because it is intuitive and versatile that make it easy to use and as if it were not enough, it is also possible to detect ransomware which is a really incredible caracteristic. CloudBerry Backup provides me with a solid plan of personal support of absolutely all my data, which is extremely important since being a software developer, I manage a lot of data and information relevant to the company, and knowing that all of them are safe is really fantastic , because if there is any failure in the servers I have a very fast restoration. "Not reliable, but great set of features"
CloudBerry Backup promises that it can back up to many different forms of storage - hard drives, cloud storage, FTP storage. We found CloudBerry Backup to simply not work. It crashes frequently, or pauses. It takes up ridiculous system resources and doesn't do what it was intended to do. On top of this, the licence is yearly for maintenance. 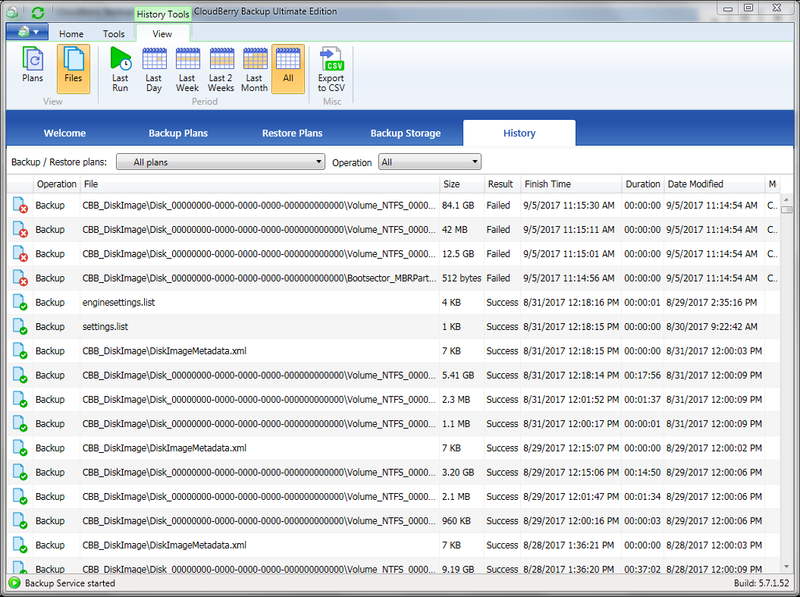 We intended to use CloudBerry Backup to make system images of our file server, and backups of the files themselves. The benefits of being able to back up to removable storage and cloud services would have been to ensure we always had backups of our data, but it didn't work out that way. Pros: We currently use CloudBerry with BackBlaze B2 as a cheap cloud backup system. 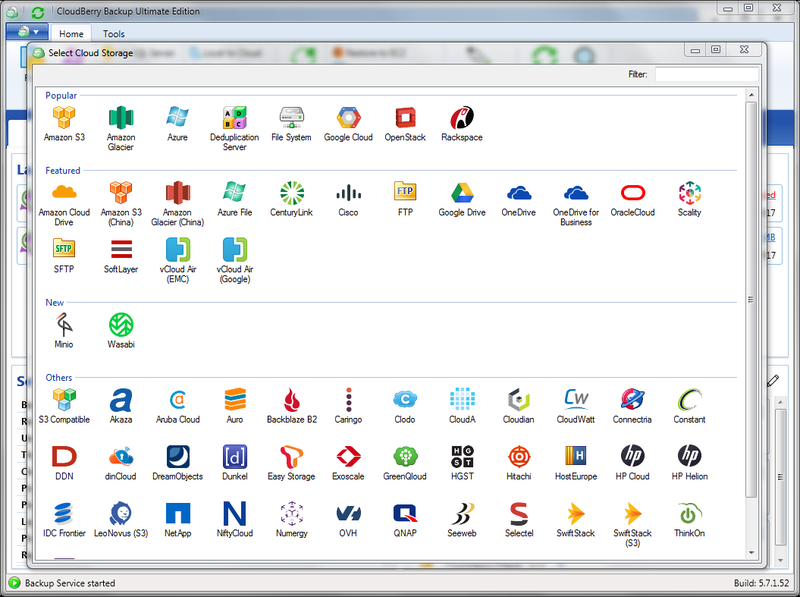 The CloudBerry software itself is great for the price. The ability to restore a backup to an AWS EC2 instance is awesome. Cons: There is a slight learning curve for the cloud backup destination and AWS restore but nothing that the documentation didnt explain.